Hello :) I have a chirpy little card today which I made using Dovecraft's new Painted Blooms collection by Trimcraft. 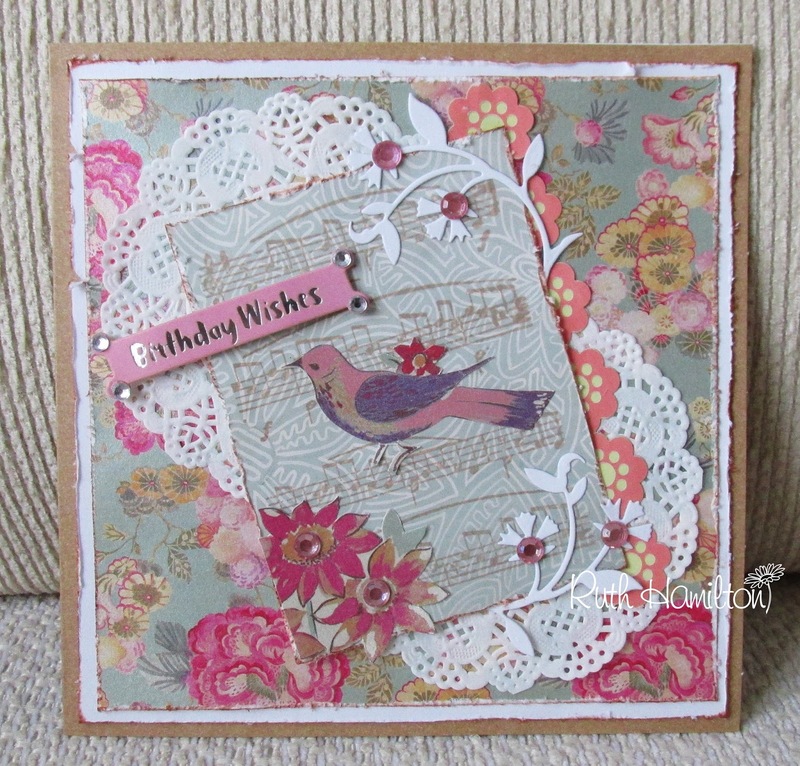 The base is a card from the 24 Chalkboard pack of 6x6 cards and all the other embellishments are from the Painted Blooms collection. 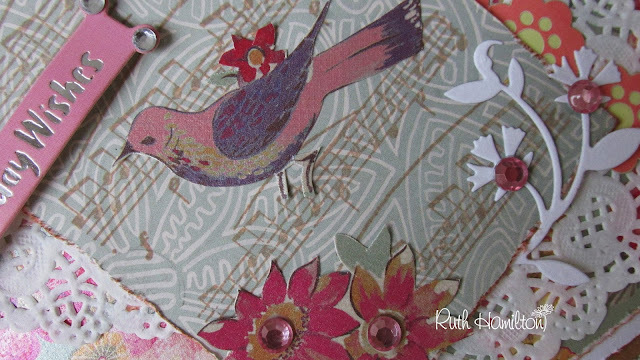 I've stamped the Trimcraft First Edition Music Notes Rubber Stamp onto patterned paper with the Dovecraft Natural ink pad.